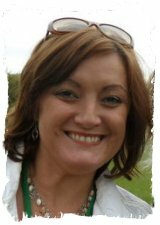 My name is Louise Heseltine and I’m a Reiki Evolution Reiki Master & Teacher. I run Reiki training courses in Bexleyheath, Kent. I started teaching Reiki classes in 2005, and have now taught several hundred students at Reiki First Degree, many of whom have gone on to study at Reiki Second Degree and a growing number at Master / Teacher level. I have to say that I absolutely love teaching Reiki. Giving empowerments is always special, and meditating as a group can be both powerful and profound. I am passionate about teaching people to work intuitively when carrying out treatments. There are a number of simple and fascinating techniques which we have fun with on my courses, giving students a tool kit of skills to take away and develop. These can make treatments really tailored to the needs of the recipient and can also help develop the student’s intuitive faculties generally. Another aspect of teaching Reiki that I find stimulating is finding out what each student brings with them to the course, their interests, experiences, lifestyle, and their natural inclinations when learning to work with energy. Every student is different, and meeting their needs keeps the challenge for me fresh and new every time I embark on another course. Teaching people to do things has always been a passion of mine; I have over 15 years’ experience teaching primary school children! Reiki Evolution courses are, in my opinion, spot on. I have heard nothing but praise from my students for the course materials; listening to the CDs gives everyone an easy way in, and thanks to Taggart’s skill and unique writing style the manuals are easy and enjoyable to read, with clear illustrations too and plenty of feedback from past students. There is even a DVD to help students with aspects of the Master / Teacher level course. I like to ask if anyone has any questions at the end of my courses. I think I had a question once, about a year ago, but everyone finds the manuals so thoroughly comprehensive, the answers are always in there! And with Reiki Evolution, when you walk out of the door at the end of your course, the support doesn’t end there. You’ll be invited to join the Reiki Evolution internet discussion group – there is even a separate group for those who have studied at Reiki Master level. You can ask questions, request distant healing for people, share your experiences with Reiki, and keep abreast with what other Reiki Evolution students are talking about, hear about ‘Reiki Shares’ and other events that people are organising to do with Reiki. It’s great to still be ‘in the loop’ once your live course is complete! There is a lovely atmosphere within the group and you don’t have to post to join in and benefit. Other things that our students benefit from are our teeny class sizes. There are usually no more than 4 students. I’ve had a number of students who have converted from other courses – the most I’ve heard of on a Reiki 1 day was “about 40”! With only 3 other students in the room, you’ll get plenty of opportunity to share what you’ve felt, ask questions (if you have any) and you’ll have my fullest attention at all times. 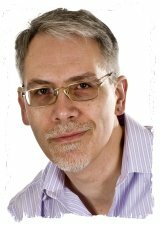 If you’ve explored Taggart’s website here at Reiki Evolution, you’ll perhaps have seen that our courses are all based on the original Japanese system of Reiki. The original Japanese system of Reiki is a beautiful thing. It is simple. It is free from the unnecessary clutter and complications that have crept in within many lineages. It makes sense. And although I personally am very interested in crystal healing, angels, essential oils, Bach Flower remedies, Quantum Touch, Kabbalah, Indian head massage and a whole heap of other amazing things, you won’t find them on a Reiki Evolution course. You’ll find pure Reiki. Which I think is as it should be. So what do people feel they get out of learning Reiki with me in particular? Well if you read my student’s testimonials you’ll see they have commented that I am welcoming, warm, supportive and easy to talk to, inspiring, committed to Reiki and enthusiastic in my approach. I’d like to think you would agree! Finding the right Reiki teacher for you is important. Be guided by your intuition and go with whoever ‘feels right’ for you. If that seems to be me, I’d be delighted to teach you! My own journey with Reiki began in 2003 when I did Reiki First and Second Degrees with Taggart. I remember on my Second Degree day, Taggart told us he was really excited as somebody was teaching his Reiki course for the first time for him that day up in Scotland. Well, my ears pricked up immediately and I made a mental note to myself to become a Reiki Evolution teacher if I could. After studying at Master / Teacher level in 2004, and working with Reiki in a fairly broad way both in my daily personal practice and with clients (I am a self-employed complementary therapist) I was delighted to join the growing team of teachers at Reiki Evolution just before Christmas in 2005, running my courses in rural Leicestershire. Back in 2001 I was a primary school teacher. Although I loved working with children, I was exhausted, depleted and desperately needed a change of direction. I felt I was missing out on my son’s early years at home, and I was finding it hard to combine my long hours of work with my home life. And actually, for years I’d wanted to work for myself and I’d felt for a long time that there was a lot of stuff about me that school teaching wasn’t utilising. I was fortunate enough at that point, to find myself in the position where I could stop teaching and spend more time at home. I knew I wanted to study something part time and see where it lead me, but didn’t really know what. The week I took the decision to leave teaching I went for a tarot reading, and the lovely lady who read my cards said I would be studying aromatherapy. PERFECT!! I thought, and dashed home to see what courses were on offer. I switched on my computer and “Asked Jeeves” (it was a while ago!). Well, the first course that came up was the Tisserand Institute in London, which as it turned out was the perfectly do-able, one weekend a month. So off I went – my new career path had begun. The course was brilliant, really life-changing, and I met some fantastic, like-minded people, and loved being involved in the world of therapies right from the word go. I first came across Reiki in 2002 when I was at Tisserand. One of my tutors suggested it as a wonderful way of protecting yourself from feeling drained after massaging clients. Friends on the course who knew me quite well said straight away – “Louise, you’ll love Reiki, it’s totally up your street”. I instantly knew that this was a life changing moment for me! With this encouragement, I cast around for a bit more information on the internet. I remembered the lucky break I’d had with the Ask Jeeves search for an aromatherapy college, so I had another go. The first web site I found was Reiki Evolution! Call it a coincidence if you wish, but I knew I’d found the right Reiki Master for me. I signed up on the spot to take Reiki 1 with Taggart, through Reiki Evolution. Shortly before taking Reiki 1, it seemed like a sensible idea to try a Reiki treatment for myself before I got permanently connected to the energy, so a Reiki 1 friend from the aromatherapy course gave me a 45 minute treatment at her home, on her massage couch. WOW! Even as she began I felt waves of energy washing over my face. This was followed by a blissful treatment where I saw fabulous colours on the inside of my eyelids – mauves and golds, felt energy turning in my third eye – I could hear it humming as a minesweeper effect of energy spun slowly from this point. Towards the end I actually drifted up out of my body about a foot above the couch. If this sounds somewhat alarming, I can honestly say it wasn’t at all. I was totally relaxed and felt myself to be in a very safe, nurturing space indeed. I felt thrilled that this was going to become something I could give for myself in 10 days’ time. After the treatment I felt deeply relaxed and energised at the same time. I felt very aware of who I am, far more accepting of myself, and very special – kind of twinkly…! With this experience as a taster, I had a wonderful day with Taggart and 3 others, being attuned to Reiki 1. I was so impressed with the total professionalism and friendliness of Taggart and the wonderful resources that supported the course. My main recollections of the day now, are the turquoise bands of colour that seemed to be passing before my closed eyes during the attunements, and the vividness of the glorious technicolour of everything in the street at lunchtime. Amazing. Reiki 2 followed on 3 months later. With it came a deeper connection to the energy and a far more intuitive way of working. Personally, I feel bogged down following very specific instructions and have always preferred to go with the flow of what feels right when I’m doing any kind of work – so this intuitive approach suited me really well. I found I was starting to use Reiki in my own unique way and was becoming more creative with it too. A year after that I took my Master / Teacher course. I really wanted to know what the biggest Reiki kick there was felt like! I wasn’t disappointed, and have been opening up to far deeper psychic experiences as a result – something I’ve always been aware I had and which I wanted to develop in a more focussed way. I now find intuitive stuff like psychometry and tarot reading flow far more naturally and I’ve had some wonderful inner experiences when meditating with Reiki. These experiences have lead me to study mediumship and trance channeling, which helped me develop a natural ability I discovered I had as a transfiguration medium. Most recently I’ve discovered new ways to self-develop through studying Kabbalah and an introductory course in quantum physics with the Resonance Project which has helped me further evolve my world view and my understanding of energy healing. These days I use my Reiki every day, and in lots of different ways. I find it tremendously useful in my therapy work, and use it during aromatherapy massage and reflexology treatments, as well as on its own. It’s often a lovely introduction to Reiki for people who might not have come for Reiki as a therapy in itself. Also, it’s nice to have something safe and helpful to use for say an inflamed, arthritic knee joint, which cannot be touched during a massage treatment. Sometimes I send Reiki through reflexology points on a client’s hands or feet, to reach specific parts of the body. It’s remarkable to feel how strongly Reiki can flow when it finds a path through someone’s energy system in this way. Clients are usually fascinated and intrigued by the effects, mostly very profound relaxation, lots of heat from my hands, and sometimes, beautiful colours too. The only problem is it’s hard to persuade some of them that the treatment has finished and it’s time to get up off the couch as they are normally so comfortable and deeply relaxed! 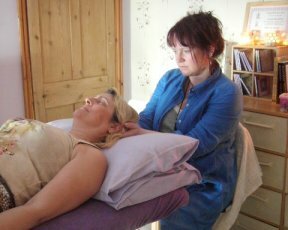 For myself, after Reiki 1 I found that I felt more energised after doing hands on therapy work, where I often used to feel drained and depleted. Now I can honestly say I’m often bouncing off the walls and fully recharged and energised after doing my treatments, as Reiki has been flowing through me all the time, even when I haven’t been focussing on it. I find that regular, daily Reiki meditations build the strength of the flow of energy to a far more powerful level, and this is the ideal. It’s not always easy to fit in a quiet 20 minutes, but there are lots of ways you can treat yourself or others in day to day situations. The energy is strengthened simply by using it a lot, as well as by using the meditation techniques. It doesn’t have to be complicated. One of my favourite times to give myself Reiki is at the cinema – no interruptions for an hour or so – I just plonk my hands on my tummy and off I go, intending for the energy to flow through my hands to the bits of me that need it most. Another good place is on long car journeys (when I’m not driving, obviously!). In 2006 I began running Reiki retreats in Spain, taking groups of people who were already connected to Reiki to work intensely with the energy in different ways on a daily basis whilst relaxing in the Spanish sunshine. Many happy times were had over the 4 years I ran these events and some wonderful connections and enduring friendships were made. I also ran a couple of trips to Egypt for people who are connected to Reiki; we explored energies at ancient sites – temples and on the banks of the Nile, discussed Reiki and shared experiences. In 2011 I ran a Reiki Masters’ retreat at Chalice Well Gardens in Glastonbury, England – a great bunch of people got together over a long weekend and shared experiences, meditations and drew on the energies of such a beautiful, spiritual place together. Sitting around the well head at midnight by torchlight, contemplating the stars together is a great memory of this retreat, and it was a great opportunity to meet some of the other Reiki Evolution teachers and discussing our experiences of teaching Reiki. Firstly the opening up of an amazing spiritual world within myself, one which I wouldn’t give back for anything, and one I feel safe to explore with the protection of Reiki. Secondly, the knowledge that my connection to Reiki will never leave me – it’s always there for me and I can call upon it to help pretty much any situation I choose. Thirdly, getting feedback from the people I’ve been able to work with as students and clients – Reiki really does appear to shift pain for people on so many occasions, improving all sorts of conditions for them. It can help people to cope with what life throws at them in a more serene way, as well as providing a structure for a very simple ‘self help and self healing’ system that absolutely anyone can learn to use. Finally, knowing I’ve played a part in connecting others to Mikao Usui’s amazing and beautiful system so they can make it their own, and as such, becoming a small part of the history of Reiki myself, is immensely satisfying and rewarding. I hope you’ll decide to make Reiki part of your life too. I look forward to meeting you and leading you on your own Reiki journey very soon!